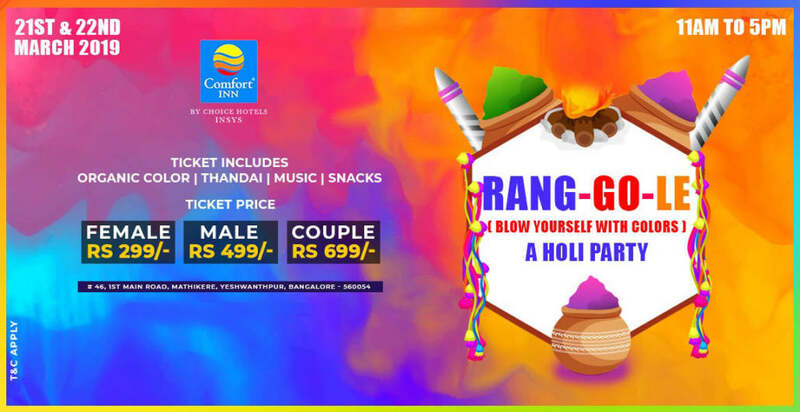 Comfort Inn Insys Presents RANG-GO-LE (Blow yourself with Colors) A Holi Party in a Desi Style. REDEYEZ EVENT are a full service Events Agency that you'll never forget.We host Events for Crazy Crowd & New revolution. Join us to experience the new era of clubbing.